Lately, there are pimples around my mouth area which is my upper lips between the nose area, so it very hard to clear the acne around that area.I've tried the differin gel which is contain vitamin A, but the pimple is very hard to see. but when i close my mouth properly, the pimples are clearly can be seen. So what can i do to clear up the acne? Try an anti-fungal cream. Try clotrimazole cream first. If that does not work, rteply to me and I can provide more detailed information. depends on your age and your skin problem. but for many years i had really bad acne and redness around my nose, mouth and chin. it might not work for you but i ditched all medical creams, acne creams, stopped drinking milk and only use a sensitive soap once a day only ( i use john&johnson's baby soap) and this greatly helped my problem. milk is well known to cause hormonal acne. google it. This doesn't sound like fungus, it sounds like regular whiteheads. I'd just try a gentle cleanser, 2.5% benzoyl peroxide gel and a non-comedogenic moisturizer. Heck if the whiteheads have no redness even just salicylic acid pads and moisturizer could work. 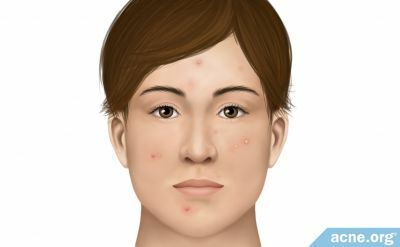 Have you used any kind of acne treatment before?